A common question asked by event hosts is "How many people can be seated at a table?" Click here to see a table seating layout for various size of tables. 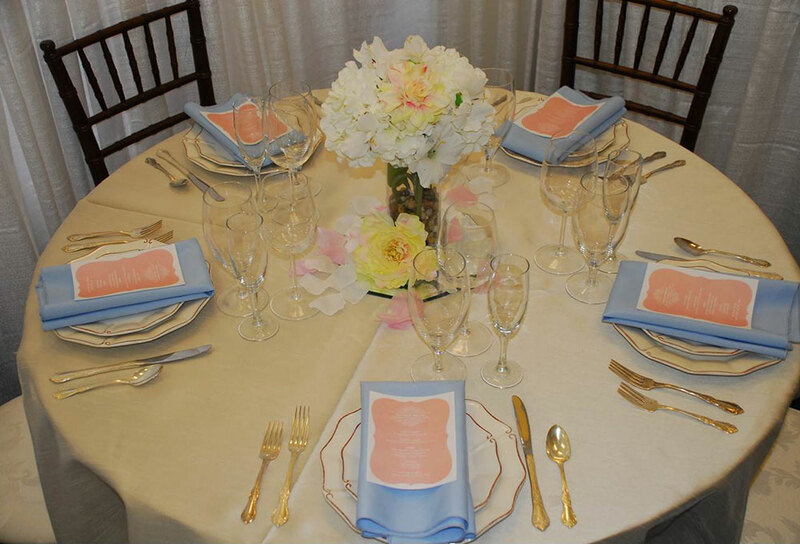 The number of plates used by each guest at your event is an important factor for table size, the more plates used the more table space required for each guest. Another decision to be made is the size of linen required to cover your tables. Click here to view a linen sizing chart that shows how a linen will look when placed on different size tables. For a relaxed event such as a birthday or corporate luncheon, you may want to use lap-length linen. But a formal event such as a wedding or anniversary, you may want to use a floor-lLength linen.